*KWC - King William’s College, Castletown, Isle of Man. This school which was originally both a school and an ecclesiastical seminary was first opened for students in 1833. Clearly, therefore, John was one of the first students to attend and here he was prepared for ordination as a priest in the Church of England. In looking at the life and career of John Qualtrough we discover that he was not just a priest but also a man who in the words of A.W.Moore was "intimately acquainted with the language and character of his fellow countrymen, with whom he was a great favourite." John was the eldest son of the Rev. Joseph Qualtrough and his wife Agnes McCullock of Dumfries, Scotland. Agnes we are told was a cousin of Sir Walter Scott. In 1810 Joseph had been appointed Chaplain of St. Matthew’s in Douglas, a position he held until 1816 when he was appointed Vicar of the parish of Rushen. The position of Chaplain also carried with it the position of Master of the Grammar School. It is interesting to note that when Joseph was made Vicar of Rushen, his place as Chaplain at St. Matthew’s was taken by Robert Brown, the father of T.E. Brown the Manx National poet. We are told by Canon Bird that the advent of the Rev. Joseph Qualtrough brought rapid changes. He advertised himself as "Master of the Academic School of Mr. Murray’s Establishment." There is an advertisement of July 1813 which gives a list of all students and subjects studied. Although the Rev. Joseph promised pupils would be "carefully instructed in English, Latin, Greek and Manx Languages, Writing, Arithmetic, Book-keeping, Mathematics and Geography", this did not mean a pupil would tackle all subjects. The number of students was given as sixty, ranging from five year old John Fell, who learned just English, to nineteen year old J.Kay studying Latin, Greek, Scriptural History, and Manx. Two other senior boys studied English, Writing and Arithmetic, and Geometry, Logarithms, Trigonometry and navigation. It was into this background that John was born on Christmas Day 1812. We know John was baptised two days later in St. Matthew’s on the 27th December 1812. By the time John was ready for school his father had become Vicar of the Parish of Rushen. We know that his father had sought at Rushen to continue an Academy in a room annexed to the vicarage, offering room for two boarders. John must have received his formative education in Rushen and he and the family continued to reside at the Vicarage there until 1824. At that time The Rev. Joseph became Vicar of Lonan and the Family moved to the new vicarage and continued to live there until Joseph’s death in 1853. Again we are told that the main event of Joseph Qualtrough’s long incumbency at Lonan was the building of the new parish church on the site of the church built in 1733 to replace the old church at Groudle. Canon Gelling tells us, "that at a Vestry meeting held in the church on 21st October 1829 it was stated that the church was too small, and ruinous beyond repair." The size of the new church was due to the fact that for each farm in the district there had to be a six seater pew, in addition to the pews for the poor and smaller land holders, and in the end the church seated 500 people. The foundation stone of the church was laid by Bishop Ward on Thursday 20th May 1830 at 2.p.m. The Church was finally consecrated by Bishop Ward on 14th May 1835. We know very little about John until August 1833 when we discover that he was enrolled at the new Academic School and seminary, King William’s College, situated near Castletown. John would be 21 years of age when he attended this school, and he continued there until February 1836. The following year, 1837 saw John being made a Deacon of the Church in a ceremony performed by Bishop Sumner of Chester. Two years later the new Bishop of Sodor and Man, Bishop Bowstead, held his first ordination. This took place in Bishopscourt Chapel on the 24th March 1839. It was on this occasion that John was ordained a Priest. During the previous two days the candidates for ordination were examined! On the 12th December 1839 John was appointed as the very first Chaplain of St. Stephen’s, Sulby in the Parish of Lezayre. Canon Gelling tells us, "St. Stephen’s owed its inception to Bishop Ward, but he died before the foundation stone was laid on 4th June 1838 by his son, the Revd W.P.Ward. St. Stephen’s was opened on 24th November 1839 and the collection ($9.13) went towards buying a Communi$4.57on Set and other necessaries. Archdeacon Hall celebrated Holy Communion and Bishop Bowstead preached on 1 Chronicles 29. The day was wet and windy, so the congregation was comparatively small. The first Chaplain was the Curate of Lezayre, John Qualtrough, who was appointed on 15th November 1839 and he proved to be energetic and capable. In November 1840 William Kermode, curate of Lezayre gave from his limited stipend toward what was needed for a choir at St. Stephen’s." It was whilst Chaplain at St. Stephen’s that the Rev John married for the first time. On the 29th April 1845 in Lezayre Parish Church John was married to Emma Thompson. The service was performed by John’s father, the Rev Joseph Qualtrough. It was whilst at Sulby that John’s first two children were born. The later two were born whilst he was Chaplain at St. Jude’s. The Rev John continued as Chaplain of St. Stephen’s until February 1848, when on the 10th February of that year he was appointed Chaplain of St. Jude’s in the Parish of Andreas. At his first Vestry meeting at St. Jude’s, Archdeacon Moore claimed to take the chair as Rector of the Parish, however, we are told that "Qualtrough, after some hot words, told Moore that as Chaplain he had the right to take the chair as the meeting was within the four walls of the church." Whilst he was at St. Jude’s John’s wife Emma died. She died on the 15th January 1857 at a time when their youngest son was not yet 3 years of age. On the 21st September 1859 the Rev John again embarked on matrimony. This time he married a Margaret Paton and the marriage took place in the Parish Church of Ballaugh. Prior to his marriage, John had been appointed on the 16th August 1859 to the living at the Parish of Arbory, and John continued as Vicar of Arbory until June 1875. Little is known about either of John’s wives. It appears that neither were born on the Island, although even this fact we cannot be certain about. What we do know is the fact that church doors were used at that time as public notice boards much to the annoyance of many Vicars. In this regard we discover that at a meeting on the 8th December 1864 "The Revd J. Qualtrough, Vicar of Arbory, said he was sending a petition to the House of Keys asking that public notices of sales, etc., should not be posted on church doors, and those present fully supported him." Canon Gelling tells us that when John succeeded the previous Vicar of Arbory, Alexander Gelling who had died on the 7th July 1859, he was considered to be "an excellent parish priest, always in his parish, and diligent in visiting. If anyone was missing from church on Sunday he would call at the house on Monday to ask why. He was described as kind, upright and manly, and was both popular and esteemed by his people. A fluent Manx speaker, he held monthly services in Manx both when a Chaplain and for most of his time at Arbory." By the middle of the 19th century Manx services were only held every other Sunday instead of three Sundays a month, and were dropped altogether before 1900. The last person to hold Manx services regularly was the Rev John Qualtrough. When the Rev John arrived at Arbory he found no choir but quickly got one together. He was also responsible for building the existing vicarage in 1864 at a cost of $622.41 The old vicarage, which was very small, stood just inside the gateway from the main road. However, the new building must have been neglected as his successor as Vicar of Arbory sued him successfully in 1875 for repairs! The present trees in the churchyard, and adjoining the road were planted about 1863. It is interesting to note that the first Harvest Thanksgiving service in Arbory was held on 28th September 1870. In his time as Vicar Holy Communion was only celebrated four times a year. In July 1875 the Rev John was appointed Rector of the Parish of Bride, and at the time of his leaving the Parish of Arbory the parishioners gave him a silver salver as a leaving present. John held the living at Bride from his appointment on 3rd July 1875 until his death on 22nd February 1879, aged 65 years. The new Rector on his arrival lived in the house by the village well, then was the first to occupy the new rectory. He held monthly Manx services, but about 1850 Manx services in many parishes dwindled from three Sundays in the month to every other Sunday and eventually stopped altogether. Qualtrough always preached in a black gown and once told the Bride people that if his successor preached in a surplice he must be a Jesuit! Canon Gelling tells us "Rector John Qualtrough died on 27th February 1879 aged 64 after a painful illness which he bore with manly courage and Christian submission. The Bishop and the Archdeacon officiated at his funeral at Andreas and the coffin was carried by four of the clergy. The sale at the rectory after his death included 400 books, a strong and useful working horse, a cow due to calve in May, a pig, a covered car, a dogcart, two carts, a set of cart harness, plough, harrow, hay cutter, about a ton of meadow hay and the lease of a field of which there were still 3 1/2 years to run. Mrs. Qualtrough lived until she was 90 and died on 19th December 1907. Bishop Powys once said that if every clergyman on the Island did his work as well as Qualtrough there would be fuller churches. When he spoke at clergy meetings everyone, including those who did not share his views, listened to him with respect, as all knew he would express his honest convictions even though he might be in a minority of one. All felt that he represented the views of the Manx people. He was, indeed, pre-eminently a man of the people and one of the few survivors of the old race of Manx clergy whose whole ministry had been in the diocese. More than any other of the clergy he had an instinctive and intimate knowledge of the Manx people, among whom he lived as one of themselves, and this, added to the fact that he spoke Manx, gave him a unique standing." You will have noticed some discrepancy in various dates in this article. I have not attempted to correct any date from a quoted source. If anyone has any further information on this family I would be pleased to hear from them so that we can add to the biographical material available. On Thursday, Feb 27th at the Rectory of Bride, one of the most valued and useful of the Manx clergy passed to his rest and reward. The Rv. 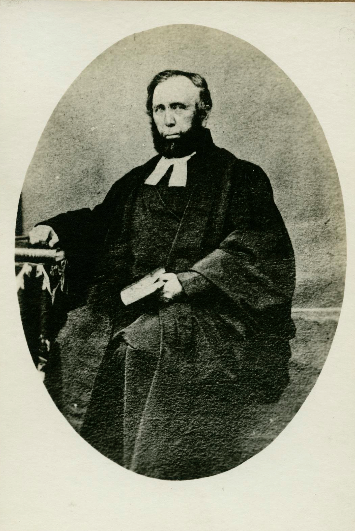 J. Qualtrough was one who served the Manx church long and faithfully. He was ordained deacon by the Bishop of Chester in 1837; priest by the Bishop of Sodor and Man, Dr. Bowstead, in 1839, so his term of service reached over a period of 40 years. On Wednesday, March 5th, the funeral took place, his body was borne to the grave by four of his brethren, and followed by large numbersof his sorrowing parishioners and friends. The Bishop and the Archdeacon officiated, thus paying their last tribute of respect to one who had so truly earned it; and many felt as they stood around the open grave and took their last long look at the coffin that contained all that weas mortal of John Qualtrough, rector of Bride, that the Manx Church had lost, by his removal, one of her best and truest sons.